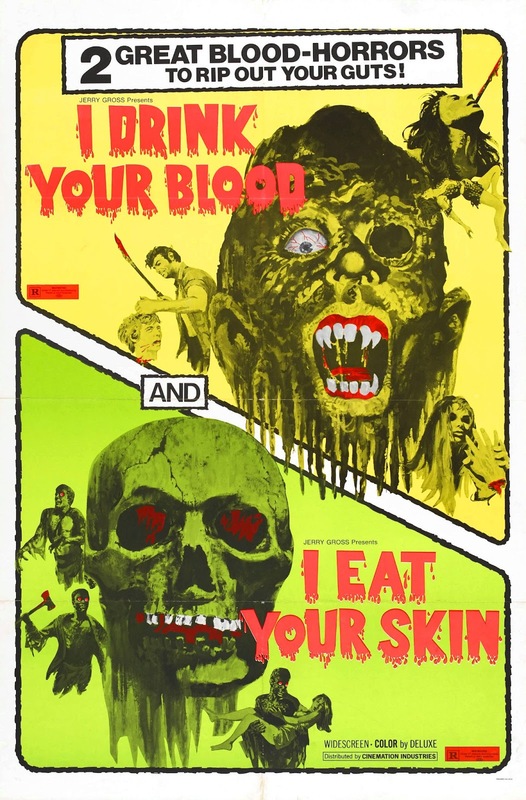 “Men become animals and eat their victims!” Here’s the double feature trailer for I Drink Your Blood (1970) and I Eat Your Skin (1964). Check it out! Posted on January 28, 2014, in FEATURE and tagged 1964, 1970, david e. durston, exploitation, horror, lynn lowry. Bookmark the permalink. Leave a comment.